As you may be aware, life insurance is a very competitive business and it’s one of the most sought after insurance policies. That’s why it’s important to stay on top of your game and make the most of every marketing opportunity that comes your way! By now, you should already know why it is important for you, as an insurance agent, to take advantage of the perks of having a content strategy: traffic, leads and effective marketing. With content, you’re letting people know about you and your business while providing valuable information. Still, just any content won’t do it! It needs to be done right! In this post I’ll give you some tips and content inspiration so you can beat your competitors in the game! So read on and get inspired! As an insurance agent, you have a specific group of people that you want to target. Because content marketing is an extension of your efforts as an insurer, this shouldn’t be any different! Most of the information transmitted in the Internet is through word form. Still, let’s not forget that there are other ways to get your message out there. Video, images and infographics make for a dynamic and different post! If you can, show them how something is done instead of just telling them. Make sure to keep them informative, short and effective! As an insurance agent, more often than not, you need to have certain knowledge and be attentive of certain areas (economics, law, etc.). A good way to portray and reinforce your authority in the field is to provide hard numbers when explaining or advising your readers. By doing so, you’re giving them factual reasons and back up to what you’re saying. Life Insurance can be something hard to write about: it’s a touchy subject that needs to be approached a certain way. On the other hand, insurance agents need to have a certain energy in their speech: you’re trying to build a relationship with your clients so they trust you. A friendly and comprehensive message with the correct data without being too technical is the way to go. You may be discouraged from writing blog posts because you think that all the information is already out there in the web. 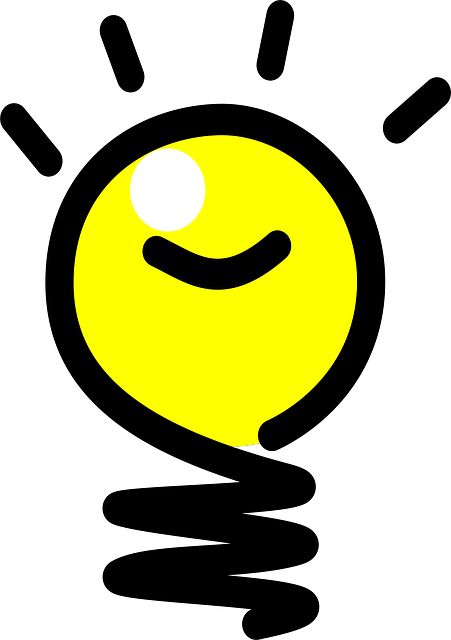 But, by giving a generic post a unique spin, you’ll have new areas to explore! Find a way to make your content useful and different. There’s always room for your own vision of things! On that same note, be specific! This is why it’s important to know who you’re talking to! If you work in Rochester, New York, make your content as localized as possible. Who cares if somebody in Los Angeles doesn’t find it useful? They’re not your target! Make your content as customized as possible so it’s the perfect fit for your audience! Before moving on to a post on how to keep the content ball rolling, there are some key pieces of information that need to be in your site so potential clients aren’t confused! Click on the link to find more about them. Inspiration can be hard to come by (believe me). So, if after reading this post, you still have a serious writer’s block, it’s good to see what other people are doing. From blogs to videos, doing a bit of research (even from your competition) can help you have new topics to write about. Just make sure to make it your own while aiming it at your target audience. Now onto the problem at hand. What to write about?! Waiting for the writing muse to descend and translate into a magical set of words that make perfect sense and provide valuable information won’t help you much (again, believe me; I’ve tried). So here it is: a list of content ideas to get the ball rolling! As a life insurance agent, I’m sure that you have more than one trick up your sleeve to help your clients get a better insurance policy. This is where a good post could emerge: think of pointers or a step by step guide that you can give readers regarding your area of business. 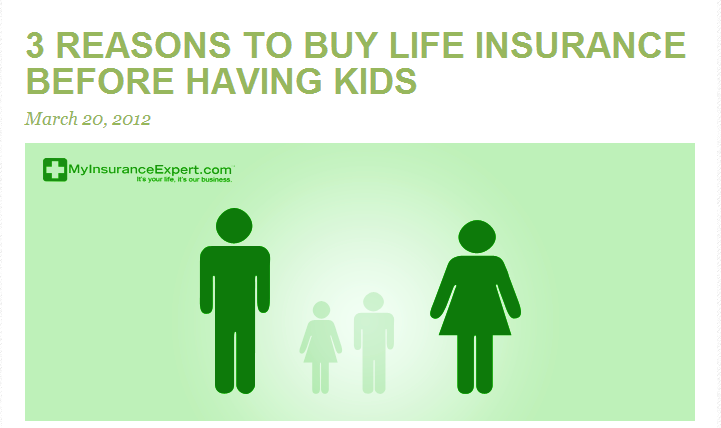 In this example, you can see a post titled “3 Reasons to Buy Life Insurance Before Having Kids”. In it, this agency provides a post based on the tip that life insurance isn’t just for parents. “Top 10” posts or ones that include a number in the title, are attention grabbing, so they can be very effective. Keep that in mind! At the same time, a tutorial or tips & tricks written up as a “Do’s and Don’ts” post where you give pointers to the visitor of best and worst practices can be an easy write and an easy read for your leads! This is an easy one for inspiration. Life insurance can be a tricky subject: there are a lot of options and variables to consider. It’s natural that your clients or leads will have questions to ask you. By writing up posts that answer said questions, you’re not only giving value to that particular client, but you’re addressing a subject that more than one may be concerned with. Day to day life can be a renewable source of inspiration. What’s happening in your line of business? What are the news in your country/state/city/community and how do they affect life insurance? For example, is a law changing in your state that could possibly affect your reader’s need for life insurance? Let them know! From time to time you may see some trends starting to emerge. Maybe there’s an increasing number of clients that need life insurance coverage due to an accident. Write a post on how to avoid those situations. 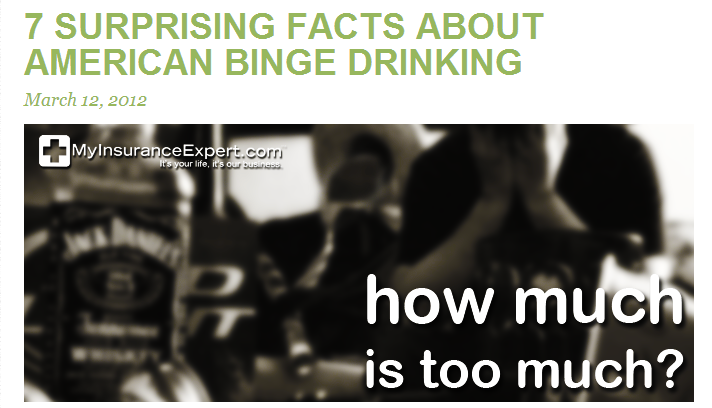 In this next example, an insurance agency posted an article that gets into the topic of binge drinking in the United States, which, of course, affects the health and life of those involved. 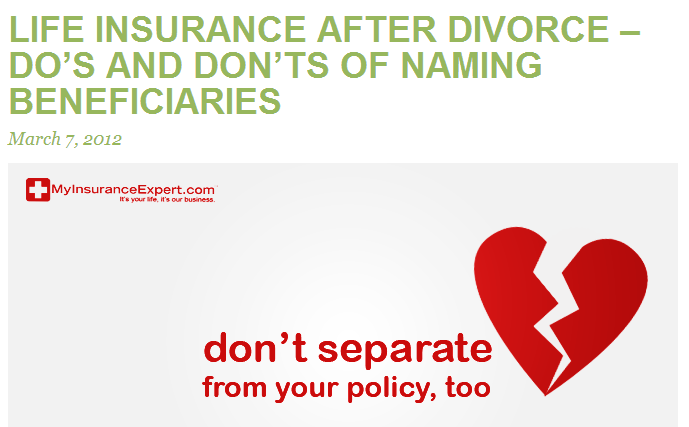 It’s not their area of expertise but it’s related to life insurance! On this same line, take trendy topics that appear in pop culture and give them a life insurance spin! For example, zombies are a very popular right now, so a post that connects a zombie outbreak with life insurance (and that the delivers the right information) can be eye catching, informative and interesting to read. People are invested in their community and you should be too! Remember that you’re trying to portray a friendly and trustworthy agent so, if there’s an event that involves your community, you could talk about it in a post. At the same time, you could advertise your own events: are you talking in a seminar? Are you writing a white paper? These are things that readers may be interested in and that could make for an easy post, so get writing! Every so often you may have to help a client with very specific needs that really benefited from having a specialized and friendly insurance agent like you. It may have been a tough job but by sharing your experience, readers may feel more connected with you, how you work and how you help people. Remember to ask permission of your clients before telling their story. Insurance can be a complicated subject, so if someone already explained something related to it in a better way than you could ever do, recommend it to your readers. Be it videos, e-books or an info graphic, sharing valuable information and even letting them know the takeaway points, can be a great way to deliver good quality content. It can’t be said enough! Content is great for your business, for your visibility and for your visitors! Keep them coming back for more by executing some of the content ideas I shared with you in this post (and be mindful of the tips too!). Ensure your content strategy by giving your visitors something to read about! Follow these tips and your insurance agent website is destined for success! If you’d like to read a post about content inspiration for Health Insurance and P&C, click on the links!